The final 2018 installment in our ongoing series with Wine Spectator helps consumers personalize their Fine Wine gifts by adding handcrafted gift wrap to celebrate the bottle they’ve hand selected. Once you’ve had the chance to review, consider sharing the original article with your email subscribers or social media followers. Or click the share arrow in the video below to share it directly from this article. This holiday season, delight your friends and family with thoughtful, handpicked gifts of fine wines. 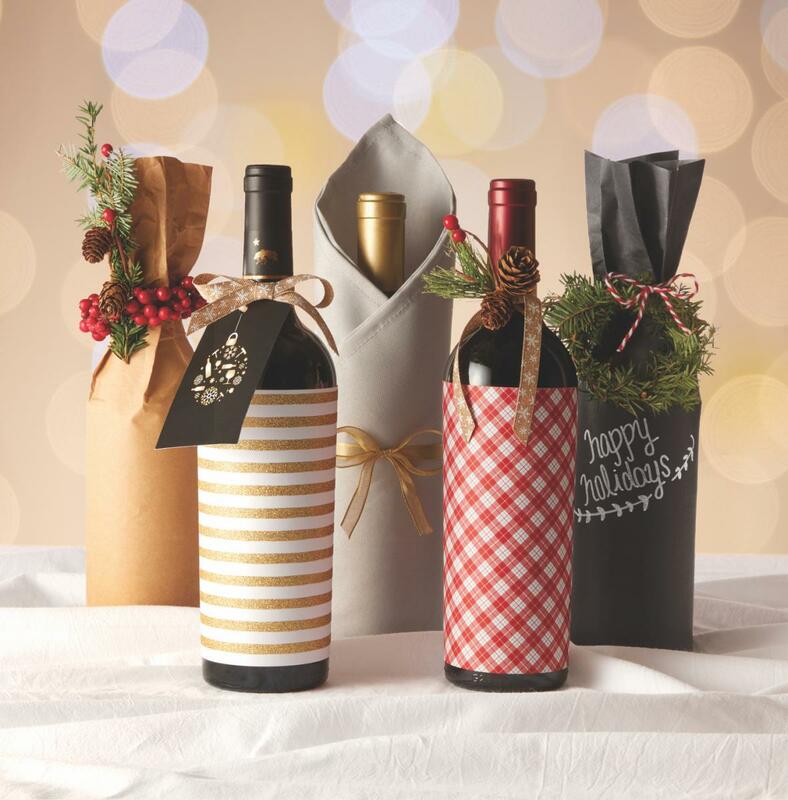 When gifting a bottle of wine, celebrate what’s inside by adding a modest but unique gift-wrap with one of three suggested bottle-wrapping techniques to complement the style and personality of each wine. The Kraft Wrap: For a modern rustic touch, use chalkboard or butcher paper, chalk or pen, a ribbon, and baker’s twine. Evoke the feeling of a special offering from a refined yet laid-back California wine country restaurant. Try this with the bold 2016 Bear Flag Zinfandel or the farmhouse chic 2015 MacMurray Estate Vineyards Russian River Valley Pinot Noir. The Minimalist Gift-Wrap: For a simple yet polished style that complements any bottle, select the wrapping paper design of your choice to create a band that allows your recipients to be delighted when they unwrap to reveal the label. Try this with the understated 2016 Talbott Vineyards Kali Hart Chardonnay. The Dinner Napkin: For a touch of elegance that lets your recipient know that this bottle is truly special, use a cloth dinner napkin and a ribbon. Try this with these classic Napa Valley wines: 2015 Louis M. Martini Sonoma County Cabernet Sauvignon and 2016 William Hill Estate Winery Napa Valley Chardonnay. Double or triple your gift to result in a complete set of napkins. For each wrapping style above, you can add a decorative accent such as greenery or a bow to the bottleneck along with one of these four holiday tags. Make each bottle of fine wine your special way of sharing tidings of comfort and joy this season! To watch a video tutorial for each of these wine bottle gifting hacks, visit https://winesp.ec/gallogifting. FOR ADDITIONAL INFORMATION OR QUESTIONS REGARDING E. & J. GALLO WINERY BRANDS, PLEASE CONTACT YOUR LOCAL SALES REPRESENTATIVE.